We here at H H Locksmith would like to extend a warm welcome your way. When you think locks, you simply have to think H H Locksmith! We offer unbeatablelocksmith service to all of Portsmouth, NH that will have you out the door and on the road in no time at all! Have you recently been seeking a Portsmouth, NH locksmith with the skill to meet all your residential and commercial concerns? Maybe you just seem to constantly lock yourself out of your vehicle? At any rate, H H Locksmith wants to address all your Durham, NH or Hampton, NH locksmith service needs. Call us today! We offer car lockout service! H H Locksmith is your one-stop-shop for all of your locksmith service needs. If you lost keys recently, and haven't the slightest idea where you placed them, we are ready to make you a new set. We also boast a radio-dispatched mobile service, which was designed to come to the rescue when car or home lockout strikes! Those residing within the greater Hampton, NH, Portsmouth, NH, or Durham, NH region should contact us the next time you find those pesky keys locked within your auto interior. We offer car lockout service at any time of the day or night. 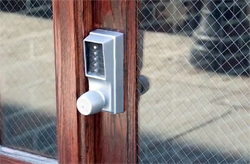 Ever find yourself or your Durham, NH business in need of a new set of security hardware? H H Locksmith Service has the answer! Serving all of the Portsmouth, NH and Hampton, NH area, we provide installation, service and removal on many different types of locks. 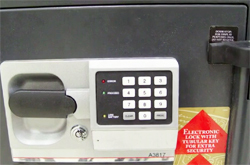 As previously stated, we can essentially address any concerns you have pertaining to your existing set of locks. Contact us today, and we'd be more than happy to help you with key control system repair, new lock parts, rekeying services, master key design, padlock installation, patio gates and pool gates. You name it. H H Locksmith is up for the challenge! With our 24/7 locksmith service for Durham, NC and more, we've always got your back! No matter when your car lockout happens or have a problem with lost keys, we are ready to help you. With the professionals at H H Locksmith, you can rest easy knowing that your home and business will remain secure. Sit back, relax, and let H H Locksmith come to the rescue! Offering locksmith service for a vast array of homes and businesses all throughout the great state of New Hampshire, we always put our customers first. We make sure to only employ licensed and fully trained locksmiths and our friendly technicians are willing to field any question pertaining to home or commercial security. Whether you need home, business, or car lockout service, we are the ones to call. Contact one of our representatives today at (603) 876-6357, and we'll make sure you retain the right type of hardware to protect your assets. We are insured, licensed and bonded to serve your needs!